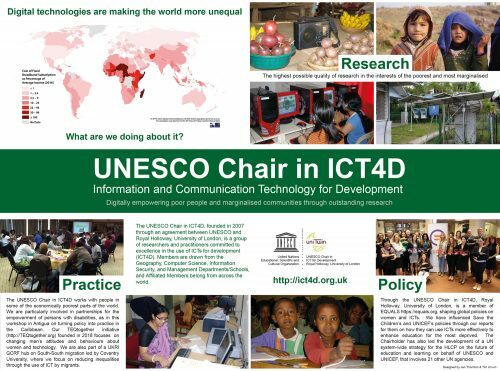 To contact the UNESCO Chair in ICT4D please use this form below. Should there be anything on our site that you consider to be incorrect or inappropriate, please let us know as soon as possible so that we can discuss this with you. Or, to join our mailing list please use this form.